The Scotland coach says there's no major concern ahead of Ireland's trip to Murrayfield. 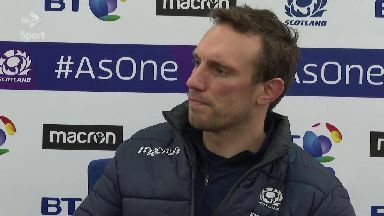 Scotland assistant coach Mike Blair has said that there's no need for serious concern about the team's defensive system despite a late slump against Italy on Saturday. The national team were on course for a bonus point win before Simon Berghan was sin-binned and Italy scored three tries in the final ten minutes. Blair conceded that the 33-20 scoreline meant there was real room for improvement but he didn't feel that the system had to be torn up. "There's not a concern," Blair said. 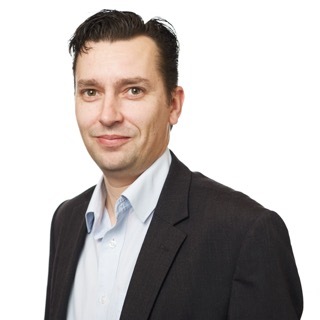 "Matt Taylor does a fantastic job with the guys, he leaves no stone unturned. "We have a very hard-working coaching team, he will look into everything and different strategies. "Obviously there have been a few soft tries but there's nothing wrong with the system, it's just guys making sure they are making those smart decisions under pressure. "Obviously at 33-3 up before 60 minutes, we were really positive. But then that last 15 minutes, with the yellow card, they got a lot of possession. For us it hits home that if you don't get things right, teams will expose you. "A few decisions in defence, perhaps a bit of energy lacking, meant it was a disappointing last ten minutes certainly but we are aware of where our standards need to be to avoid that happening in other games." The next test of Scotland's hopes of success in the Six Nations comes on Saturday when Ireland come to Murrayfield off the back of an opening weekend 32-20 defeat to England. Blair said that he didn't think a loss at home was going to affect the Irish players this weekend. "I don't think it's going to be any different because they lost," he said. "Ireland are a quality team, one of the top teams in the world. "Joe Schmidt is an incredibly intelligent coach along with Andy Farrell as well. We expect a big showing from them, not just because they lost their game, it's something we would have been expecting anyway. We know we need to be right at the top of our game to give them a game."